A multiple Genie, Gemini, and Dora Award-winning actress in the classic Canadian films I've Heard the Mermaids Singing and The Lotus Eaters, McCarthy has appeared in films such as Die Hard 2, Being Julia, Confessions of a Teenage Drama Queen, The Day After Tomorrow, and Sook-Yin Lee's Year of the Carnivore. Most recently McCarthy can be seen starring in the feature film Antiviral, the directorial debut of film scion Brandon Cronenberg. She also just finished starring in Murdoch Mysteries for CBC and two independent films called Public Service and Algonquin both to be released next year. She is about to start shooting ICE GIRLS, a feature film with Damian Lee. She has a television half hour in development called DEPARTURE LOUNGE with EONE and CBC. Sheila has coached at Humber College, teaching Comedy in Film and television to the senior students. She also coaches at The Canadian Film Centre and National Theatre School annually. She will be directing SWEET CHARITY at Sheridan College in January 2016. Sheila coaches privately whenever she has the time between her other commitments. Christina Collins has been acting for over twenty- five years. She started off playing Laura in The Glass Menagerie in Stamford Connecticut, and has never looked back. Ms. Collins studied acting at Circle-in-the-Square Theatre School in New York City. She has performed at a wide variety of theatres across Canada and the United States. Christina Collins is an actress, known for Truth in Advertising (2001), Extreme Measures(1996) and The Marriage Fool (1998). She has more than 45 credits to her name. Some of her theatre highlights include: Kate in Taming of the Shrew, Helena in A Midsummer Night's Dream, Charlotte in Night of the Iguana, Margherita in We Won't Pay! We Won't Pay!, Libby in I Ought to Be in Pictures, and the lead role of Darlene in Balm in Gilead. Ms. Collins also has numerous films and television credits to her name. Some highlights include principal roles in: Dead Ringers, Glory, Glory, E.N.G., Women in Prison, Between Love and Honor, Holiday Affair, Deep Water Black, Extreme Measures, Thanks to a Grateful Nation, Reversible Errors and the lead role in the film, The Dinner Party. In addition, she has appeared as a recurring cast member on the BBC/Disney produced series, I WAS A SIXTH GRADE ALIEN. She has also appeared on many Canadian Television series such as; DOC, KEVIN HILL, BLUE MURDER, THIS IS WONDERLAND, REGENESIS and DEGRASSI, SECOND GENERATION to name a few. As well as her acting work, . Ms. Collins has been delighted to be among the teaching staff for the Film and Television Program at Humber College in Toronto and is now part of the teaching staff at the Toronto Academy of Acting for Film & Television . She also freelances as a director, and frequently directs commercial auditions at Jigsaw Casting, Power House Casting, Gloria Mann, Brian Levy and Fade to Black. Vladimir Bondarenko is a Gemini - nominated, award - winning documentary film maker. His theatre background includes performing support and leading roles at the Stratford Shakespearean Festival, Theatre London and Theatre Aquarius. Television credits are highlighted by appearances in the Emmy award - winning "F.D.R. 's Last Year"; "Night Heat", "Street Legal" and "Due South". 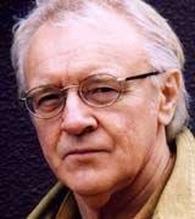 Vladimir's movie credits include principal roles in the acclaimed docudrama "Catching the Chameleon", the Sci - fi horror thriller "Kaw", the soon to be released theatrical feature film "Small Town Murder Songs" and the theatrical short "Walking Wooly". His internationally acclaimed documentary films include "Speaking of Courage" and "Voices to Remember", which tell the stories of children and adults who live with a stutter and "Vigil of Hope". Vladimir helps youth and adults, focusing on overcoming public speaking fears, improving spoken English and vocabulary, developing confidence, liberating spontaneity and imagination, releasing creativity, humour and hidden passion through the powerful arts of storytelling, role playing and improvisation. For 24 years, Andrej has worked in the fields of music, film and television industries, and collaborations with well known GLOBALLY recognized artists being Musicians, Directors, Actors, writers, Choreographers, Dancers, Designers, Photographers and industry professionals. Andrej Acin has developed and improved an extremely strong and unique skill set ready to share with students. 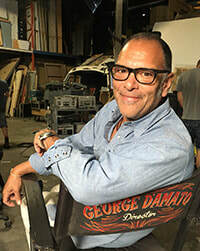 As a television director and producer he has been working on 14 high budget productions, including 85 episodes of the "Jelena" a TV series in which he had the privilege to lead a cast and crew of over 200 members as the main director, and was nominated for the Best International Director at DISCOP World Television Festival in 2005. Over the past 14 years he has written, directed and produced ten films: two feature films (both in production), one medium length and seven short films. He was awarded Best Director nine times at film festivals in both Europe and America, including Special Jury Gold Award Winner for his short fiction film "THE MARGIN" at Worldfest, Houston, USA. His films participated in the official selection of a number of film festivals around the world: Clermont Ferrand, Paris, Poitiers (France), London (UK), Berlin (Germany), Rome, Milano, Bologna (Italy), Bilbao, Valencia (Spain), Thessaloniki (Greece), Moscow (Russia), Melbourne (Australia), Houston, Los Angeles (USA). He has also worked in theatre, having produced and directed four theatrical productions: Intimus, Echoes of Silence, Peep Sorrow and Glory Hole from 1997 to 2004, which toured Europe and played in the most important theatre festivals: Berlin (Germany), London (UK), Paris (France), Rome (Italy). 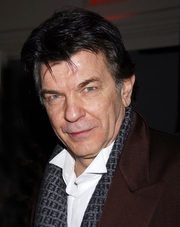 As a film composer, his work has been included in six feature films screened at the International Film Festival worldwide and dozens of short films, and has been awarded three times for the Best Feature Film Original Film Music (1995,1998 and 2002) including the Composer of the year Award. Member of the Canadian Actor's Equity Association (CAEA) and the Alliance of Canadian Cinema, Television & Radio Artists (ACTRA). Originally from the U.S.A, Sarah Weatherwax has an honors BFA in Acting from Emerson College in Boston, Massachusetts. She now works as an actor and voice teacher in Toronto, Ontario. Sarah does private voice and audition coaching with actors, singers and public speakers at her home in the east end. She also teaches group classes for performers regularly, most recently at Carter Thor Studios East in Boston, Montreal and Toronto. She has helped people with challenges such as mumbling, stuttering, timidity in group settings and has increased confidence in work place meetings. She has taught voice at Workman Arts, a unique company devoted to fine arts training for people struggling with addiction and/or mental illness. Voice over work and background voice work play a part in her career as well, with credits including such shows as "Heartland", "Haven", "Traders" and "Blue Murder". The last play she produced, was "Mud" by Maria Irene Fornes, received four out of five from NOW Magazine, Toronto's primary arts paper. Sarah was the on - set voice and acting coach for "Deaf Planet" Seasons I and II. One of Canada's few Designated Linklater Teachers, she was the recipient of a generous grant from the Canada Council for the Arts. Russell studied communications and decided to seriously take up an acting career. From there he auditioned and got accepted in a summer program which was being offered by The University of Toronto in conjunction with Theatre Ontario. Following the end of that program he went to Los Angeles for one year and did some private studying and theatre performance. After returning to Toronto, Russell spent three years at a private acting studio where he was mentored in classical studies varying from Italian, Comedia, Comedy Francais, British Farce and drama. After a short period of performing, he again returned to his studies at Second City. Russell's career has allowed him to work with varying directing and acting industry majors such as James Cameron, Paul W.S. Anderson, Peter Deluise, Sturla Gunnarsen, Mario Azzopardi, Jason Statham, Rick Moranis, Richard Dean Anderson, Henry Winkler and many more. 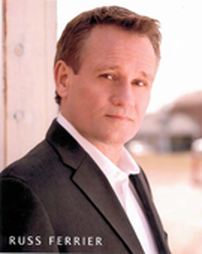 Russell now makes Toronto his home and has appeared in over thirty - five lead and large principal roles for union film & television projects and has filmed over fifty national commercials. 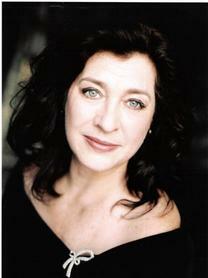 Joy Juckes has a Master of Fine Arts from York University in both Acting and Voice Teaching. 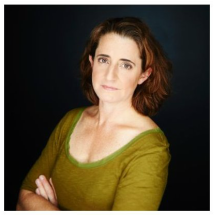 For over 20 years she has developed curriculum and courses in Acting, Voice and Speech, Presentation Skills, and Dialects for several Universities, Colleges, Schools of the Arts and Acting studios. Joy has delivered many courses in communications and voice for Corporate and Sales Professionals which have been customized for successful training projects with TD Bank, Royal lePage, Investors Group, Ministry of the Environment, The Pingway, and The Farm. She has also served as a media consultant and private coach for public and political figures. A professional performer since childhood, over the years her involvement in theatre has included singing, dancing, acting, writing, directing, composing and recording. Acting credits include: "Louise" (principal) in feature film "Lemon Crackers"(currently post-production), "Miss Tick" in Murder on Sunset Boulevard for Mysteriously Yours Dinner Theatre, "Crazy Annie" in Spaces for 4-Letter Productions, "Tardy" in Elizabeth Rex for Brampton Theatre , "Gail" recurring character in Smart Woman's Survival Guide on Wnetwork, "Ma Ubu" in Ubu Roi for Rhoma Spencer, "Agrafena" in Bankrupt for Max Hancock. Feature Film, Television and commercial filmmaker. Film Acting Schools film acting division pleased to add to the film acting schools roaster of acting teachers Jason Fraser is a Toronto - based actor, director and instructor with a true passion for the creative process. Originally from Calgary, Alberta, Canada, he began as a teenager with the Company of Rogues Actors Training Studio. From there, Jason made a huge leap of faith landing him in New York City by the age of 20, where he was accepted into the acclaimed Neighborhood Playhouse School of the Theatre, known worldwide for it's acting method, The "Meisner Technique". Jason worked closely and diligently with his instructors and developed a true love and passion for the raw workshop style technique. Soon after graduating, he formed his own workshop to continue to develop his strengths as a session leader. The qualities that began to emerge made the transition into directing for the stage, a logical next step. Jason helped the Bride Theatre Company launch a mandate to produce Canadian theatre in New York City. With the direction of Daniel Macivor's "Never Swim Alone" and "This is a Play" in the winter of 2004. Jason returned to Canada in 2005 to start teaching students and has been teaching since. Jason brings a modern energy and edge to what is a very traditional acting technique and one that he hopes will live forever. Acting truthfully through imaginary circumstances is the definition of acting, and Jason's focus is to continue to introduce The Meisner technique to those who seek true and formidable training.